Rnd v2. New layout, new types of random,Price reduction. added smooth random voltage output, revamped the random gate generation, and increased the DAC resolution on the random outputs. 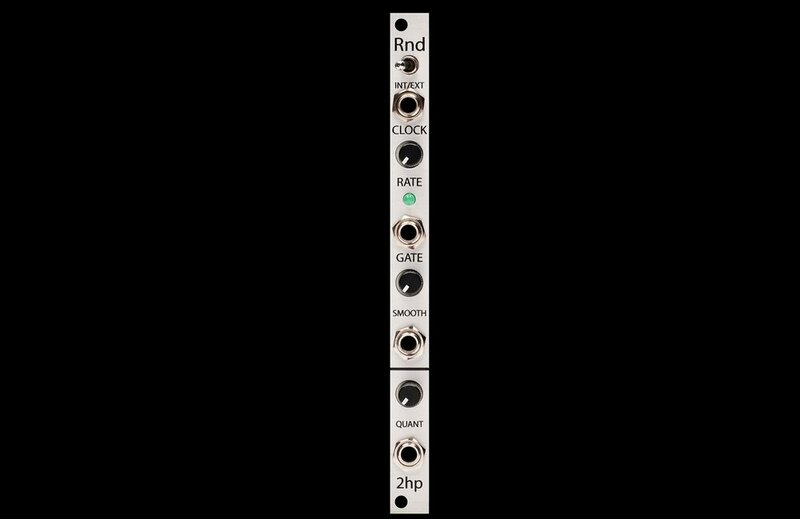 The quantized and smooth outputs are completely independent, and each feature an attenuator to fine tune the output voltage between 0V and 10V. This allows for a musically useful range to be defined. When externally clocked, random gates erupt from the gate output.